Home » Blog » Why Rahul Gandhi will win from Amethi in 2019? family they are trusting for years. It also depends on an advertisement, we tend to go for a product what we see regularly on TV and think what if the product is manufactured in our locality only. No party for any unknown reasons, try to win Amethi by expanding their political organization. Priyanka is seen as a replica of Indira and Amethi people are big supporters of Indira so it will create a win-win situation for Gandhi’s to continue in Amethi in 2019 also. Whether one believes this fact or not, it is certainly true that Rahul has had a communication barrier at least as far as Amethi. Earlier, KL Sharma was his representative in Amethi. But locals allege that KL Sharma quickly became better known for his bad behaviour, which included insulting people and throwing them out of his office. The same case is with Amethi MP’s current representative Chandrakant Dubey. 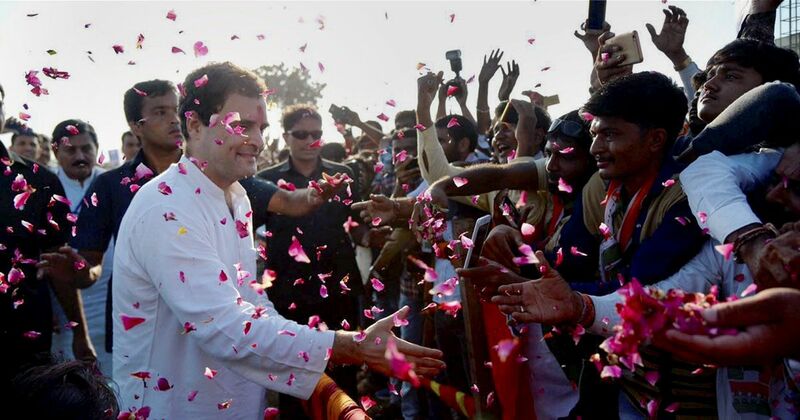 People say he tries and ensures that the people don’t reach Rahul directly. They have many bad stories about him. Ultimately, they say whatever Dubey does in Amethi will ultimately harm an “honest” and “upright” Rahul. Whether one chooses to believe this fact or not, Congressmen point out that the scion has many good qualities. They say that unlike children of other famous politicians, Rahul does not flaunt his lineage and remains on the whole “balanced and honest”. But their unfortunate fact is that it’s not the love of people towards Gandhi family or Rahul Gandhi specifically that makes it a bastion and vote for them but the reluctance of parties to put a strong candidate there in Amethi since Rajiv Gandhi poled his flag there in the 70s. There is a certainly an emotional connect of the voters who have been in Amethi since Rajiv era but if you look closely on the voting pattern in Amethi you’d realize that the Gandhi family enjoys power because of only 25-30% of Amethi’s population and to some extent due their deep-rooted goons or agents who help in rigging and make sure that people remain uneducated and vote for Congress only. Past few elections suggest that the voter turnout during elections has been as low as 35-45% and on their best days Gandhi’s have received as high as 70% margin making it only 30% of total population. Farmers of Amethi were very happy and prosperous as Rahul worked silently for the protection of farmer’s rights and their livelihood, as according to them the localities encouraged co-existence model of agriculture and the industrialization. He provided them Low-cost and well-equipped healthcare facilities for all where People were treated free of cost for many medical complications, they were all grateful to Gandhi family as they made them self-sufficient without relying on any major help from State Government which they say is always impartial. Many industries which were heavy, as well as small and medium-sized, are present including BHEL, SAIL, Rail Neer etc, that contributes to the employment and upward mobility of people in the district. Indifference and Impartial treatment by State Governments since 2014 – While the lot of development work is needed to be done by state governments like the improvisation of Railway Stations, Upgradation of Highways, etc. but all the proposed work by UPA has been stalled or cancelled by successive governments. Rahul’s constituency has shown to rest of the world that how to be self-sustain. The constituency has further emerged as the case study for the educational institutes about the ways to stop the exodus of educated unemployed youths from smaller cities to metros. The Amethi has shown the way. 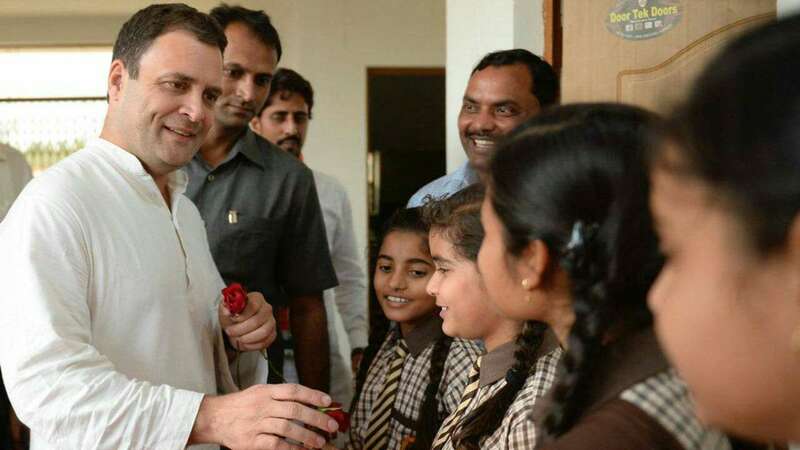 Rahul was the one who used his own funds to help the poor farmers, youth and peasants to overcome their problems by getting educated through numerous primary schools and professional institutions that have been functioning in the area. Because of this youth not only get themselves educated but also get themselves enrolled in professional training programs. Look at the infrastructure of the Institutions in Amethi. While Amethi which has been intentionally ignored by Modi government to earn political mileage. State governments have deliberately ignored the improvisation of Railway Stations, Upgradation of Highways. The rest population have either given up voting due to lack of strong candidates or simply given up on the system.